It’s without a doubt, one of the greatest golf weeks of the year: Masters week. Blooming Georgia azaleas, vibrant shades of green, and a bustling Augusta National Golf Club signify the official start of the golf season. Snow ridden states begin to thaw (we hope), golf clubs emerge from months of hibernation, and office productivity plunges as live-streaming Masters coverage overtakes every golf-lover’s desktop. Almost more exciting than the Masters tournament itself? The realization that you too can start to tee it up every weekend. But before you go digging out last season’s crinkled khakis, faded polos and crusty golf shoes, let’s take a few steps toward elevating your golf wardrobe. 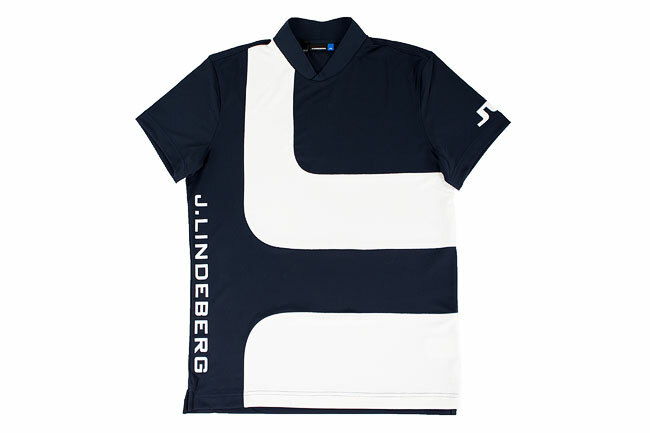 And the good news is, fashion brands like J. Lindeberg are bringing the heat with their golf lineups this spring. 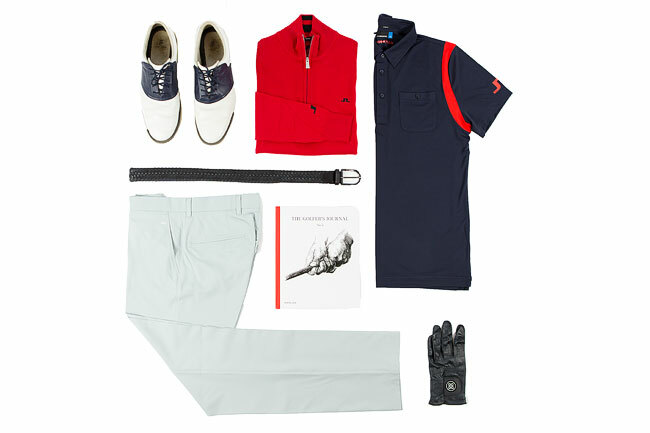 To help set you in the right direction, we’ve created A Master(s) Guide to Spring Style, showcasing 10 ways to elevate your golf wardrobe for the spring days ahead. 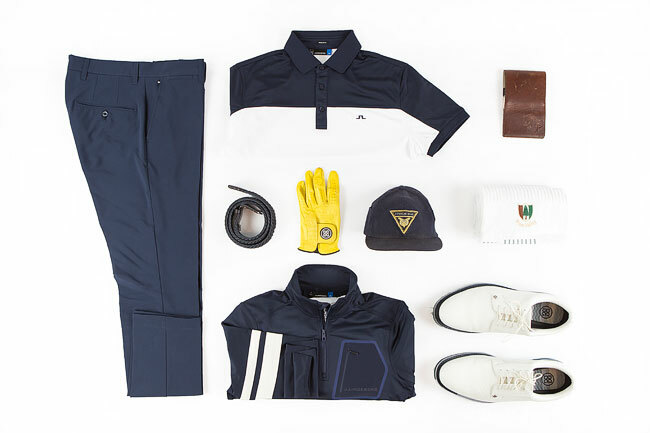 Each theme offers advice for upping your golf style by highlighting a specific apparel item and offering suggestions on how to pair it with other pieces to create an ultra-stylish overall look. There’s no doubt this guide will be your roadmap for gearing up and turning heads at the club. We draw inspiration from the first (and arguably best) major venue of the year, Augusta National, and look to one of our favorite brands, J. Lindeberg, to present a myriad of looks for spring that are nothing short of major. 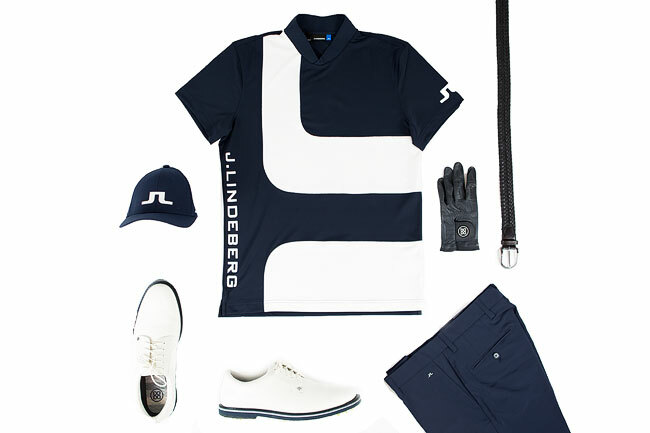 J. Lindeberg’s spring golf collection is unlike any other, offering a sophisticated, yet sporty, line that’s highlighted by modern design patterns, a variety of unique colors, luxury performance fabrics, and the always desirable trim fit. Needless to say, they continue to infuse the golf apparel industry with an unparalleled level of fashion. 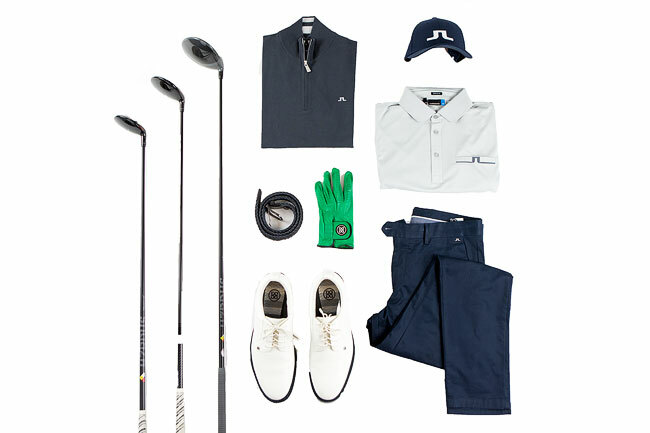 Follow our style guide below, and your golf wardrobe may be the only thing looking better than Augusta’s pristine fairways and greens this spring. 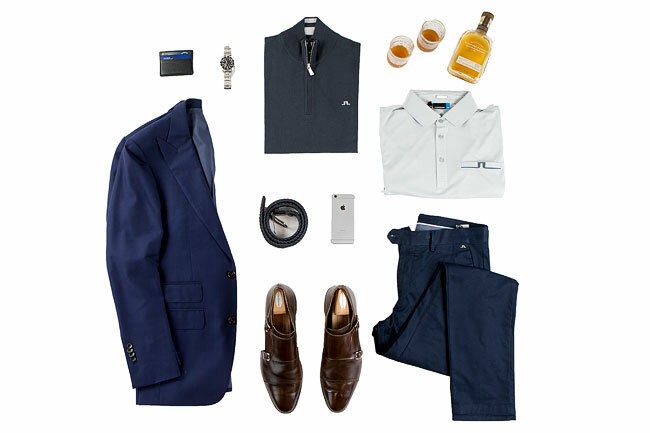 Every great golf wardrobe has it’s staple pieces — those go-to items that act as a canvas for an outfit and can be paired with just about everything else in your closet. Their simplicity and versatility mean they get a lot of action and more than likely should be replaced each year. Where to start? A crisp white and solid black polo, neutral shorts, braided belt and a light-weight performance trouser are staples that can be mixed and matched with most everything in your closet. Ensure these pieces are in the close, and you’re off to a great start for the many golf days ahead. Here we see how a simple white polo stands as the centerpiece of super sleek look. One look through J. Lindeberg’s spring apparel, and you’ll find no shortage of show-stopping, “statement” pieces. These aren’t the shirts you’ll be wearing day-in and day-out, but are perfect for creating a look that will really stand out and impress. Topping my list of favorites is the Roky TX Torque Polo. 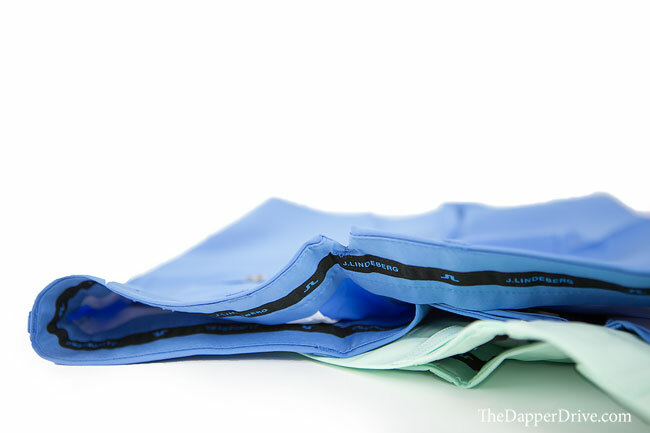 The clean-lines, fashion-forward design, sporty blade collar, perfectly trim fit, and soft-yet-stretchable fabric each combine to yield a brilliantly unique golf shirt. 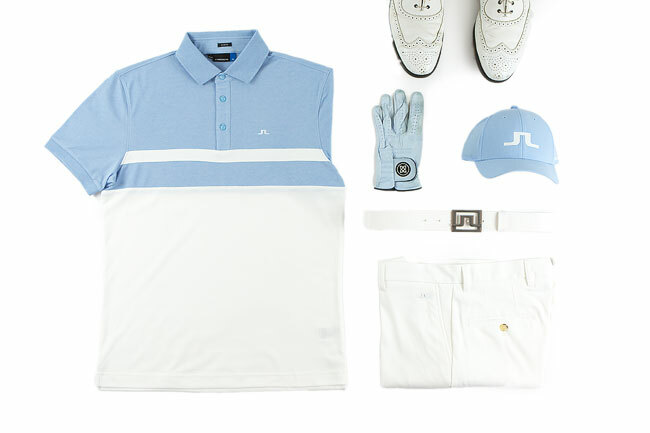 This piece epitomizes JL’s ongoing effort to bridge the gap between fashion and function on the course. If you’ve ever paired a pink shirt with baby blue trousers, and topped it all of with a light green hat, I beg you to stop. Trust when we say, that’s not a good look. Instead of searching your closet for every pastel in sight and wearing them all together, choose one pastel piece and build around it. The basic message is keep it simple. A pastel trouser should have a place in your spring wardrobe and pairs nicely with that crisp white polo you own (remember the “staple” piece). 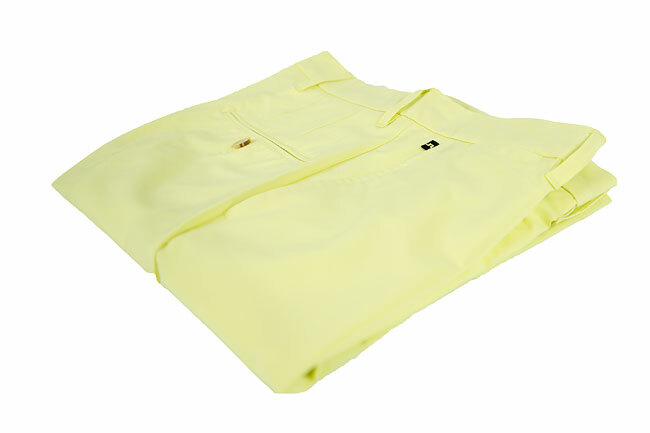 Or, reach for a solid polo that features a subtle pastel accent color. Case in point? Grab the colorful Ellott Micro Stretch Pants (the “Tight” fit is incredible) and join forces with the subtle colors of the Brighton TX Jersey Polo. 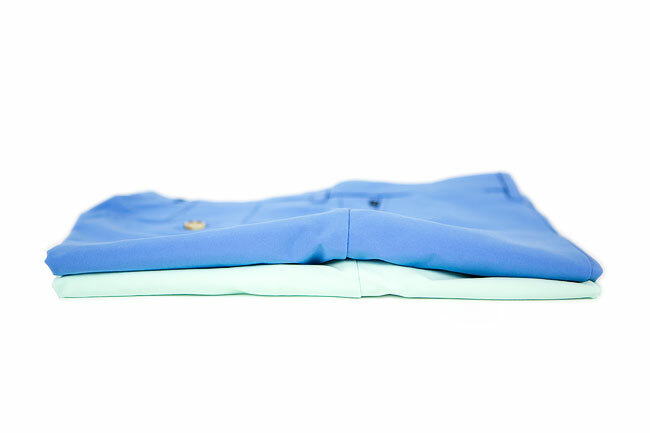 Top the outfit off with G/FORE’s Tuxedo Gallivanters, and who knew pastels could create such an elevated look. Even if you’re not one of the lucky few attending The Masters this year, that doesn’t mean you can’t draw inspiration from the many colors of Augusta National. Bright pink azaleas, lush green fairways, emerald putting surfaces, and bright blue waters make for some great wardrobe inspiration. Don’t be afraid to branch out and get some lighter color hues in the mix. I love the sharp, classic look of black and navy apparel, but there’s no better time than the spring to brighten up your golf apparel. J. Lindeberg’s Eloy Micro Stretch Shorts are not only crazy comfortably, but they come in soft colors like Gentle Blue and Still Yellow. Just remember, keep it simple when pulling together a look around these shorts, or any other colored piece. If you’re still on the fence about white shorts and pants, or remain uncertain on when or how to wear them, it’s time you give this a read: The New Rules For White Pants. 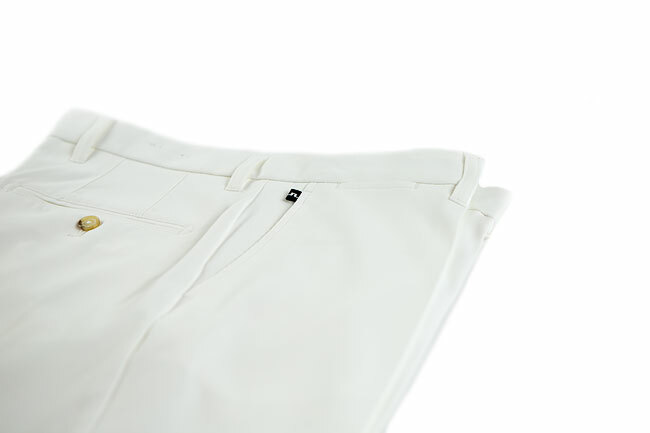 Okay, now that you’re fully on board, there are few pieces that create a crisper looking outfit than white bottoms. Yes, they are tough to keep clean, so replacing these each spring isn’t a bad idea. J. Lindeberg’s Eloy Micro Stretch Shorts — stretchable, water resistant, crazy lightweight and breathable — are the perfect fitting white short for the season. Pair them with a color-block shirt like the Kye Cotton Poly Polo and a fresh pair of classic wing-tip golf shoes. I’ll admit it. Until recently I’d been on the fence about midlayers, but after a few early-spring rounds, have fully converted to a believer of these magical outerwear pieces. Lighter than sweaters, the modern-day midlayers are a must for combatting those chilly springtime mornings. On a brisk day where a sweater seems like too much, but a polo alone won’t cut it, the midlayer lands right in the temperature sweet spot. 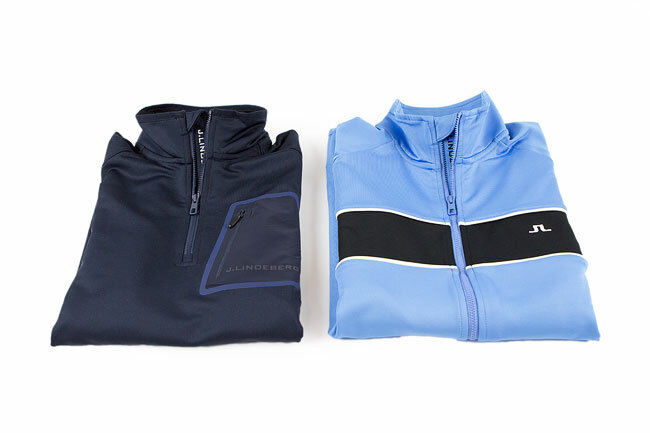 They offer a sportier look than their knit counterparts, present full-or-half-zip options, and are ultra-comfortable. 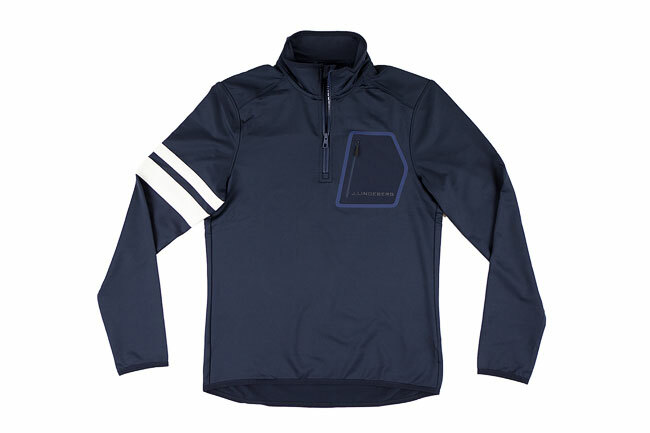 I love the bonded chest pocket and single sleeve stripes of the J. Lindeberg Putte Tech Half Zip Midlayer. In most parts of the world, spring is synonymous with wind. Even the calmest of spring mornings often quickly turn to blustery afternoons. 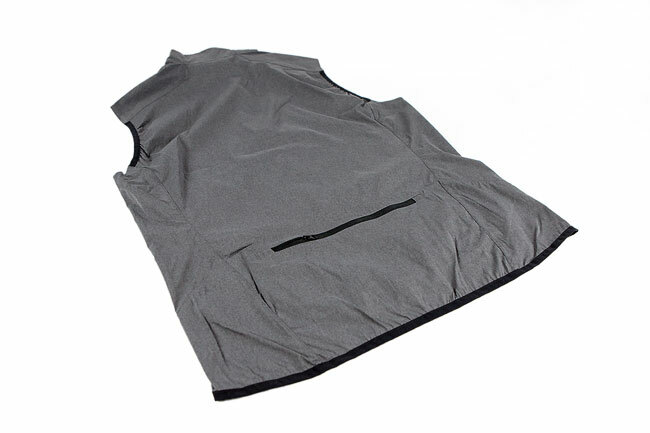 As temperatures begin to rise but that pesky wind won’t quit, there’s no better asset to have on your side than JL’s Surge Stretch Wind Pro Vest. This full-zip vest is windproof, water resistant, and quite honestly may become your new best friend. It looks great worn over a polo, and can even be donned over a midlayer or knit for some added protection against whipping winds. And dare I suggest wearing it out on the town under a blazer? 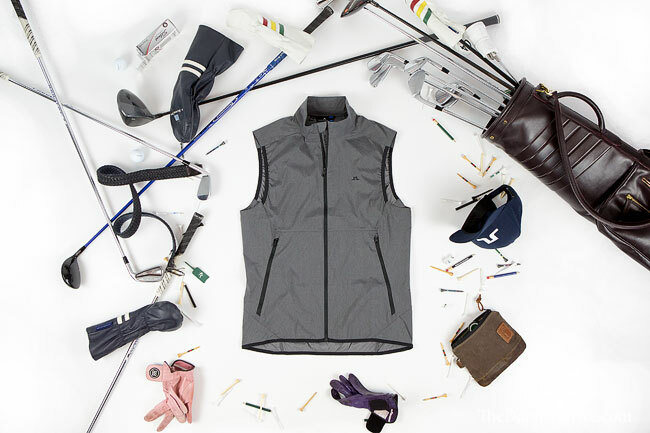 Trust that while it can’t save your clubs from toppling and hat from flying, you certainly aren’t blowing anywhere in this golfing body armor. 8) Tighten-up your belt game. Spring is the perfect time of year to really tighten up (read elevate) your belt game. Your go-to white belt might look great with white trousers, but it shouldn’t be worn with much else. And it’s probably time to toss that decade-old leather belt … you know, the one with the self-made holes it in. Plus with so many different designs, styles and colors to choose from, there’s a perfect belt for every look. 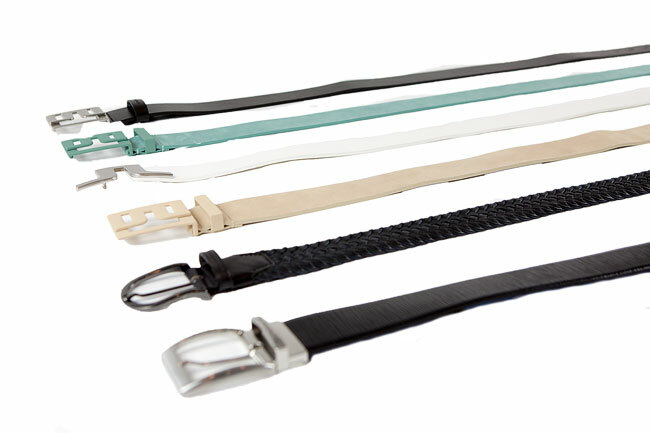 You can certainly go crazy with a ton of different designs, but start by snagging a black, navy and white belt. Then, add a color or two to match an off-color pair of bottoms. And of course, be sure to mix up the styles, designs, buckles and materials of your belt arsenal. Topping my list of J. Lindeberg favorites is the Bridger White Leather Belt (it’s easy to clean and keep pearly white) and the Brayden Braided Cotton Belt, which looks just as good off the course. We’ve all experienced that situation where we’re hustling off the 18th green after an unexpectedly long round, texting the lovely lady “On my way!” while dashing straight from the course to downtown drinks. 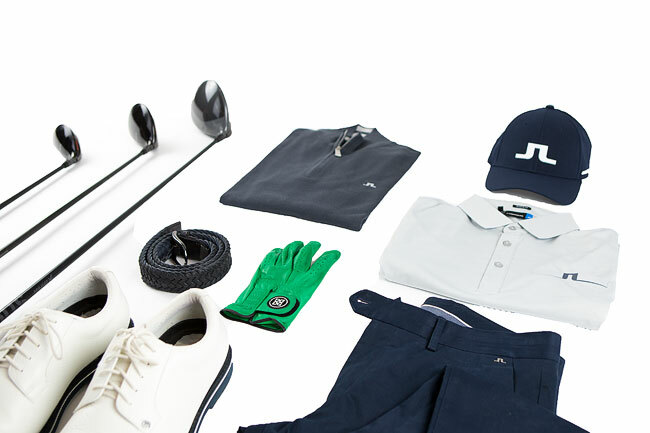 Whether it’s out of necessity, or you simply want a look to rock both on and off the course, JL’s spring lineup has a variety of versatile pieces. 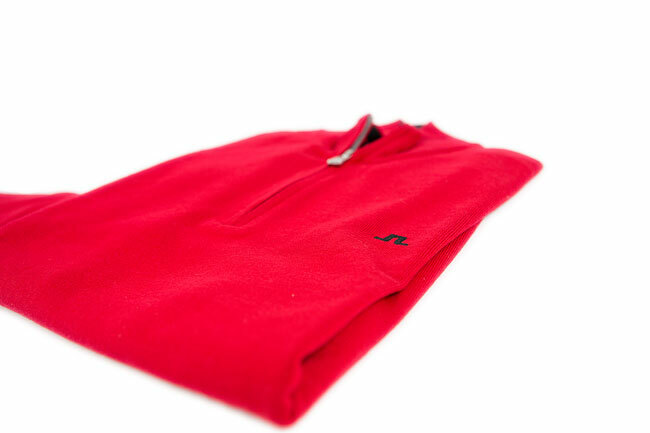 One of my go-to pieces that fits this mold is the Kian Tour Merino Half Zip Sweater. It’s trim fit and simple, classic design make for an ideal on-and-off course piece. Wear it over the understated Petr Polo and add a dark twill trouser. Ready to go straight from the course to dinner? Ditch the hat, replace the golf spikes with a sleek monk strap shoe, and add a favorite timepiece and blazer. She’ll never suspect that moments prior, you were running off the 18th (you’re secret safe with us, too). It’s no secret that one of the greatest golfers of all time loves his Sunday red. Well, we love it too — and apparently, so does J. Lindeberg. Their use of a vibrant colored red (called Racing Red) adds a daring flavor to otherwise standard pieces. From the bold use of red in the Racing Red Kian Tour Merino Half Zip Sweater, to the subtle use in the Doph TX Jersey Polo, there’s no doubt you should be rocking it in your spring golf wardrobe. Pair a vibrant red top with a muted grey bottom, and channel that feeling of victory in your Sunday round with the boys. 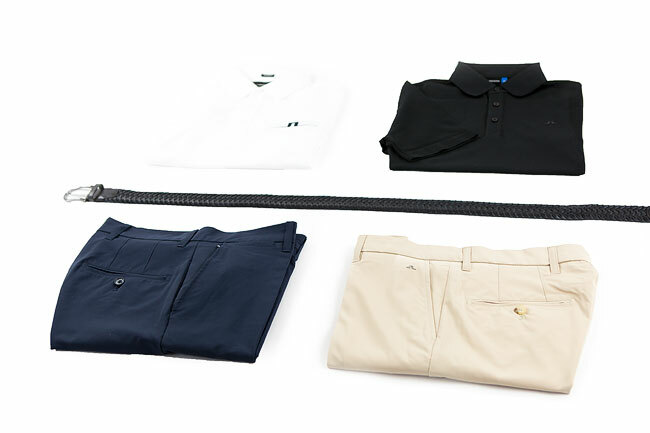 Whether upgrading your entire golf wardrobe, or simply making a few enhancements, be sure to own your personal golf style. Ensure you’ve got a good base with a handful of simple, staples pieces first, then branch out with more unique and head-turning apparel. And, be sure to use this style guide as a roadmap to looking your best this spring. Play well out there! 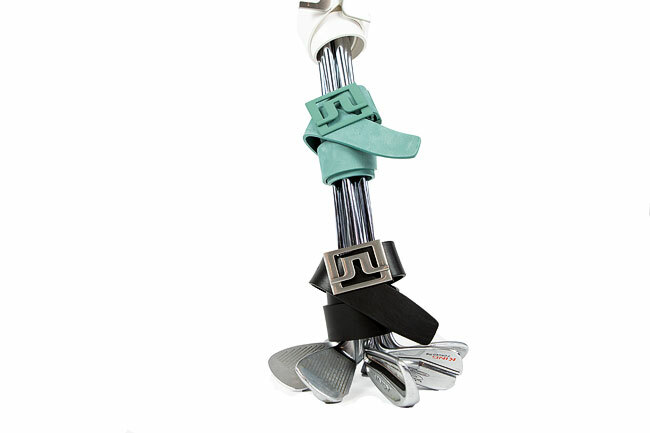 Want more style tips, periodic brand discounts, and chances to win fashionable golf apparel? Join The Dapper Drive crew by entering your email below. Here here! Looking good is half the battle, David!